Locksmith Care » Locksmiths near my location? Why choose a local professional company? Locksmiths near my location? Why choose a local professional company? You are in a situation requiring the service of an experienced locksmith and are you wondering who to choose – a locksmith near my location or a national company with affiliates in all big cities? We recommend betting on local professionals, and in support of our recommendation we will highlight a few arguments. Do you want to pay more than necessary? National companies use different subcontractors – locksmiths from all parts of the country. Your call to them is served from a call center that directs the closest specialist to your address. The price will be drastically increased to cover the locksmith’s costs, with some profit for the big company remaining. Do you want to wait long? Professionals are called above all in urgent situations. The locksmith come to help when we are the most vulnerable – we cannot enter our home and when we need quick protection from the thieves. None of the two situations leave time for hesitation. We are forced to act quickly, and it is wise to call a local locksmith. Local locksmiths will arrive much faster at the address you have specified than the specialist sent by the big national company. Their headquarters are likely to be in close proximity to your location, and they may have mobile emergency team capable of arriving at the address within 20 to 30 minutes. You certainly will not have to wait long in the rain on the coldest evening if you choose a “locksmith near my location”. Sometimes it is more important than the price to get help as quickly as possible, and save money and time in this case. Is quality important for you? 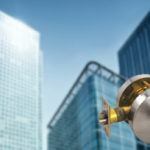 When it comes to locks of your home or business property, disregarding the quality of the service is extremely unwise. We know that none of you is willing to wait long, pay more expensive and ultimately get a low-quality lock or service. The truth is that locksmiths working locally concentrate mainly on improving the quality of their services. Their survival is questionable if they fail to increase their customers in the region. They know that if they leave their client with a good impression on their work, he will recommend them to their relatives, friends and colleagues. In summary, we will find that the answer to the question: “Locksmiths near my location or a big national company?” has only one true answer and it is in favor of local professionals. The factors cost, speed and quality, as well as trust, tip the scales in their favor, and in this case nothing else matters. 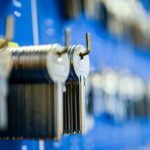 Locksmith in Toronto near me for an emergency lock change – why is it better to look for a local company? Is the emergency locksmith service an easy job? Is it worth to pay the cost for a professional locksmith? 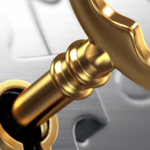 Locksmith Toronto North York – What are the advantages of a local company? When to call the good Toronto locksmiths? Why you should not use the cheapest Toronto locksmith services?